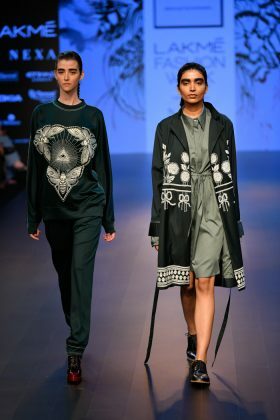 Spending a week among the best and brightest of the Indian fashion industry, we’re in awe of the creativity of our homegrown artists. 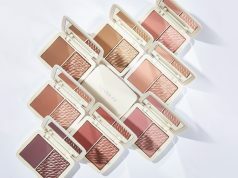 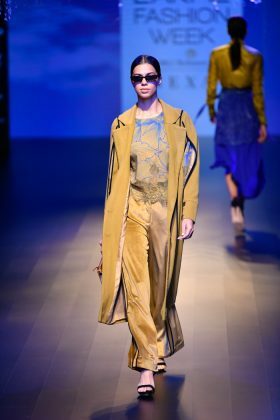 There are high points that deserve a special nod and applause for their amazing designer collections. 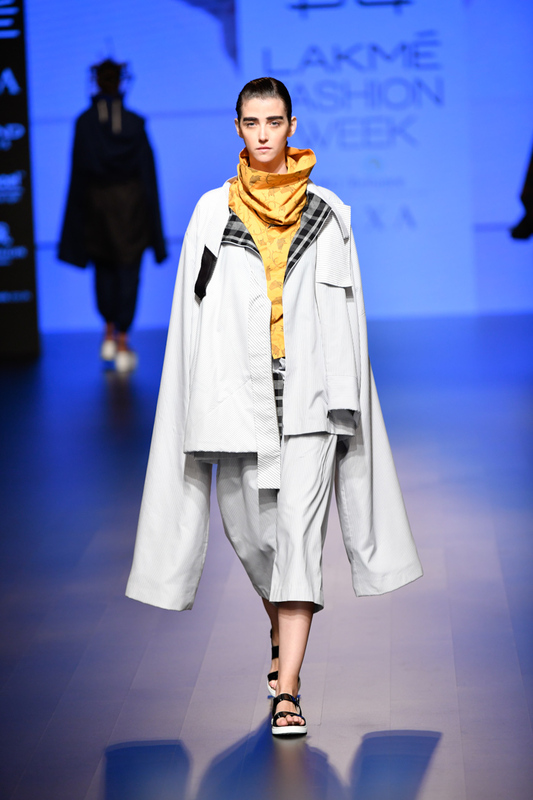 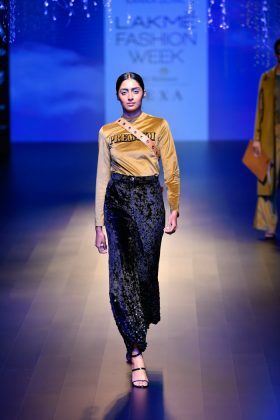 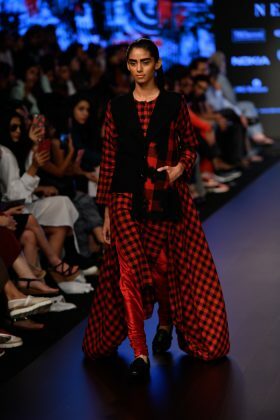 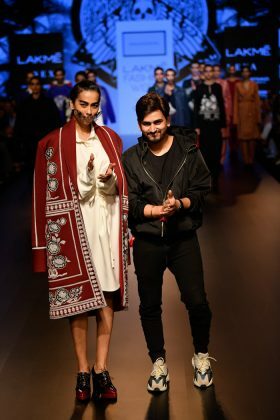 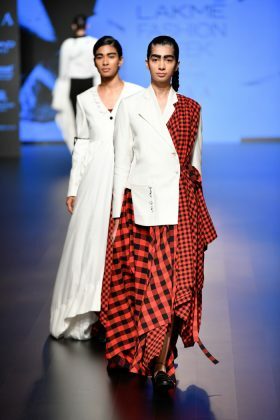 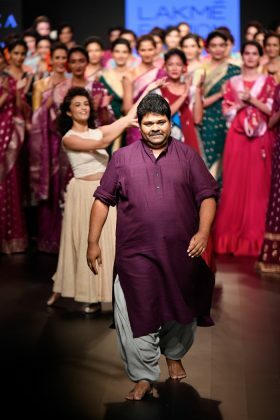 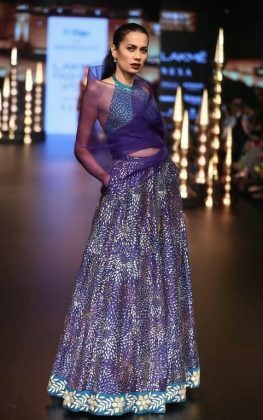 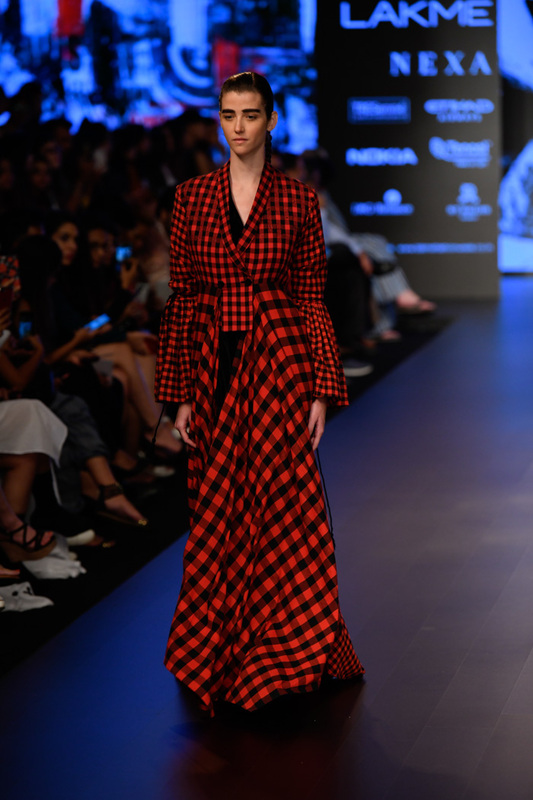 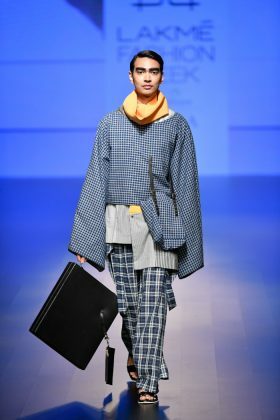 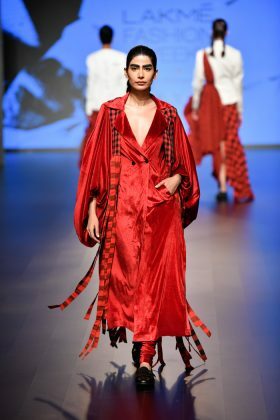 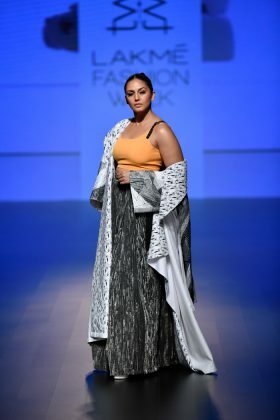 From experimental shows to bold moves taken by fearless designers, here are Lakme Fashion Week 2018 Day 3 highlights that you just can’t miss If you are a fashion lover. Just check out the mesmerizing collection presented last day. 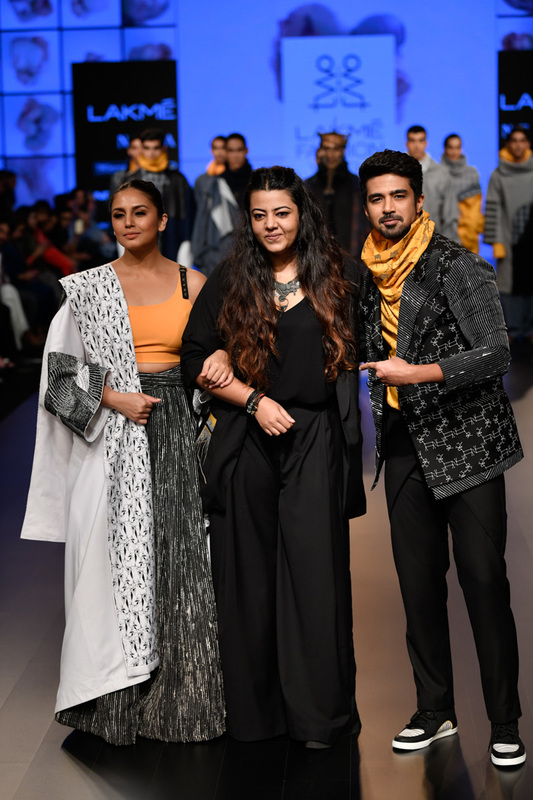 Huma Qureshi walked the ramp with Saqib for Anvita Sharma’s brand Two Point Two. 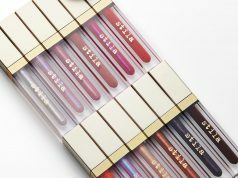 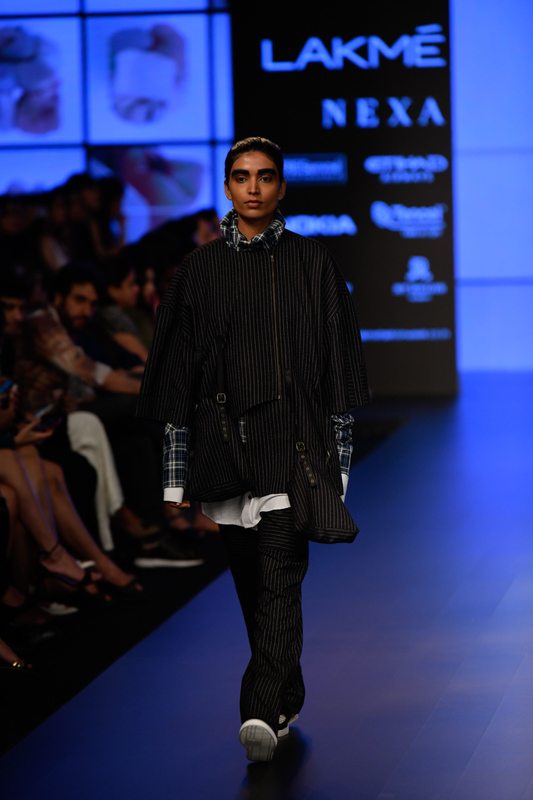 A collection that showcases her designs for both men and women. 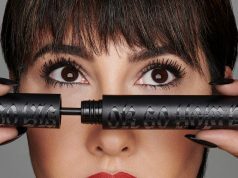  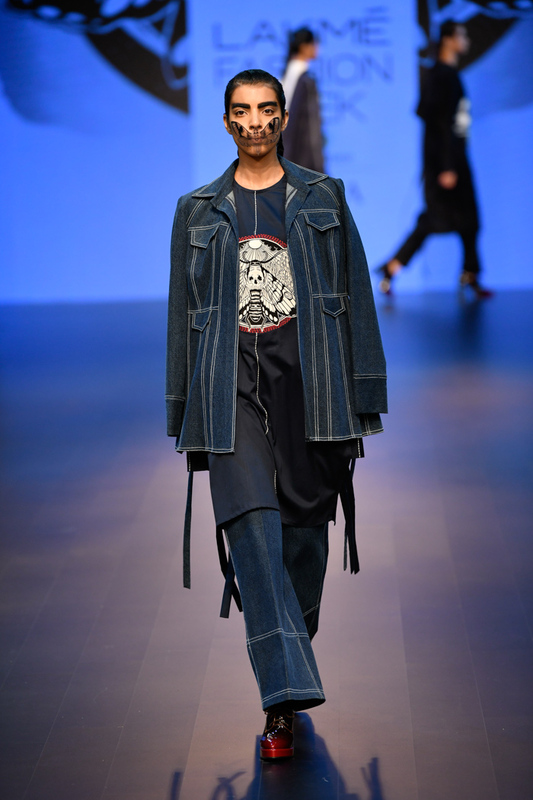 Two Point Two as the brand is all about individuality. His was inspired by the saviour of cloth – the ‘Rafugar’. 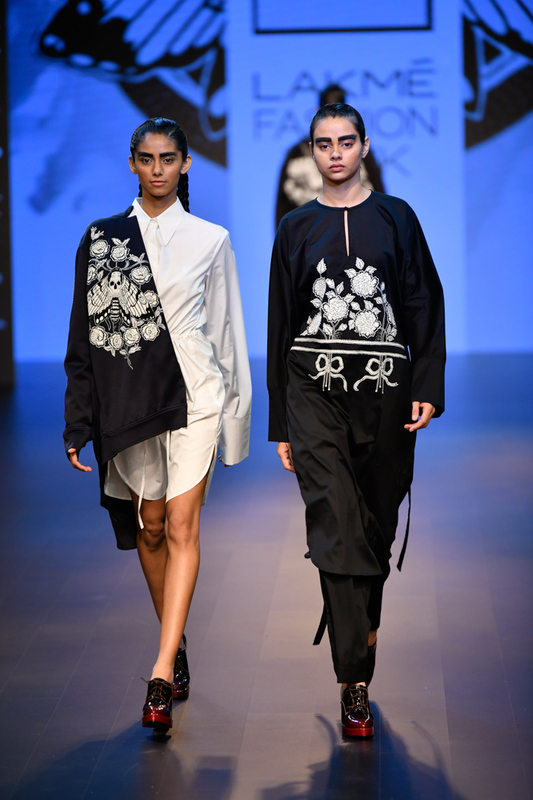 The collection showcases lots of Rafugar-inspired embroideries in a red, black and white colour palette. 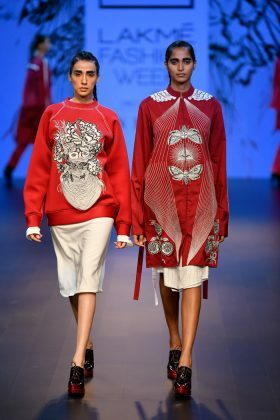 Armaan Randhawa’s dedication to late designer Alexander McQueen. The W/F’18 collection is all about minimal, boxy and heavily embroidered silhouettes with edgy artwork. 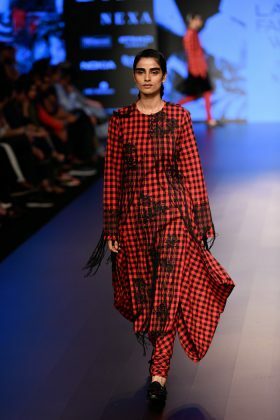 Inspired by the clouds, Poochki’s Sheer feminine dresses which were paired crinkled silk organza was something to write home about. Flirty shirts, hand-block prints, tie-dye gave each piece on the runway a unique spin. 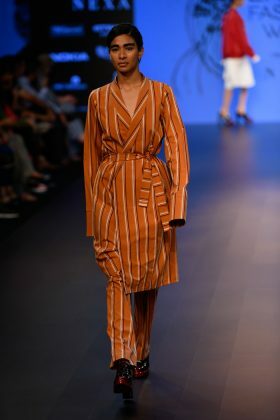 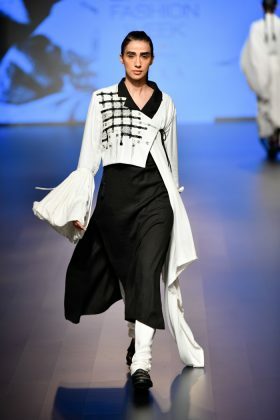 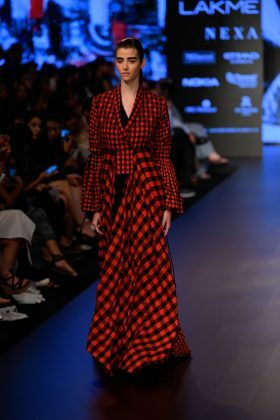 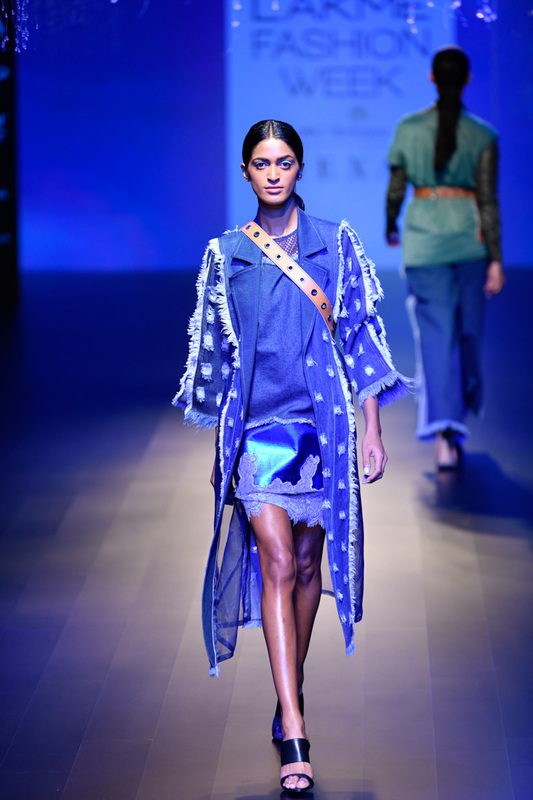 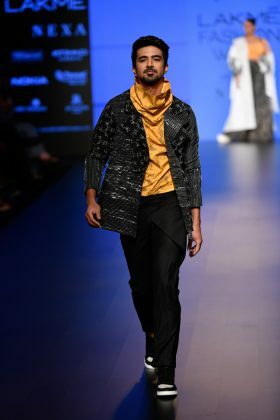 A lot of detailing with embroidery, PVC, suede, silk, Dutch satin that was interwoven with quirky and edgy pieces were presented by the brand the ramp. 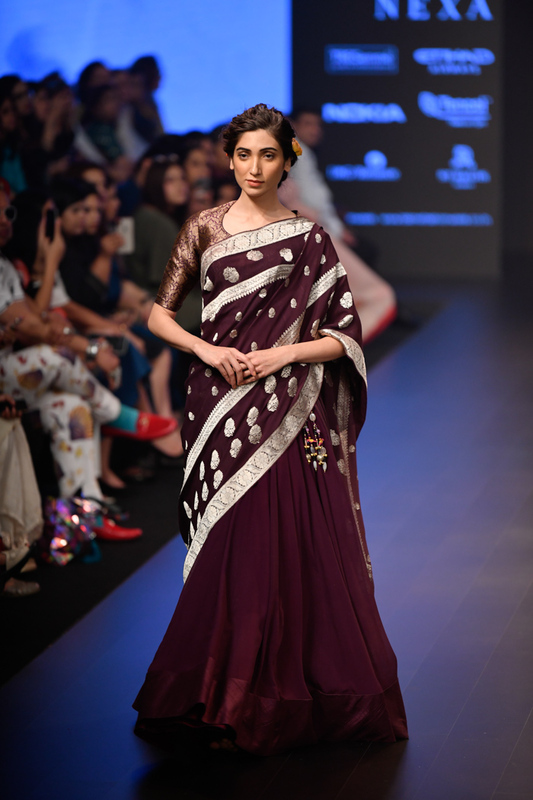 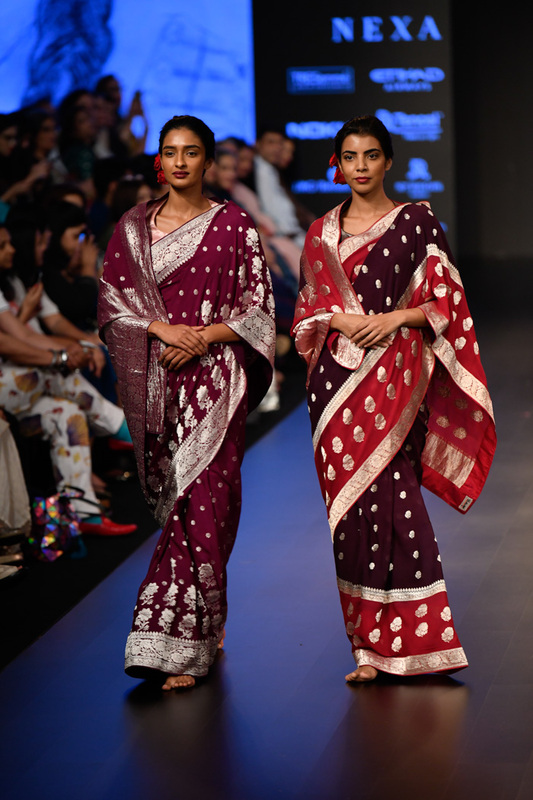 Titled “Mahanati” meaning ‘pride of actresses’, Gaurang’s collection combined elegance with style and glamour. 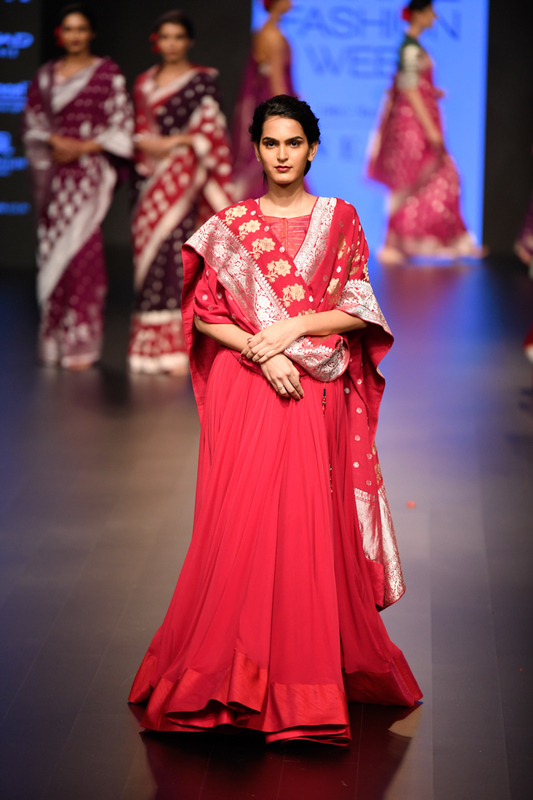 From brocades, silks, organzas, handwoven sateens and chiffons all rich fabrics were used in this collection. 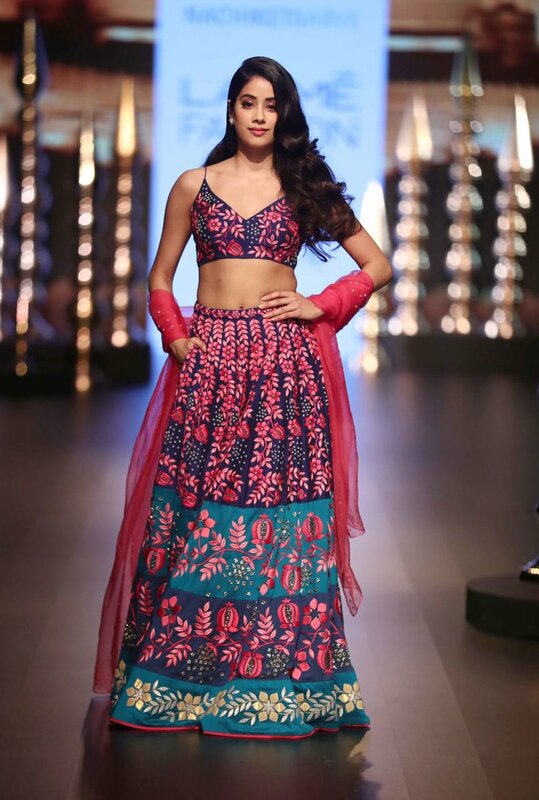 Arpita’s collection “La Fleur” has left us feeling super dreamy and feminine. 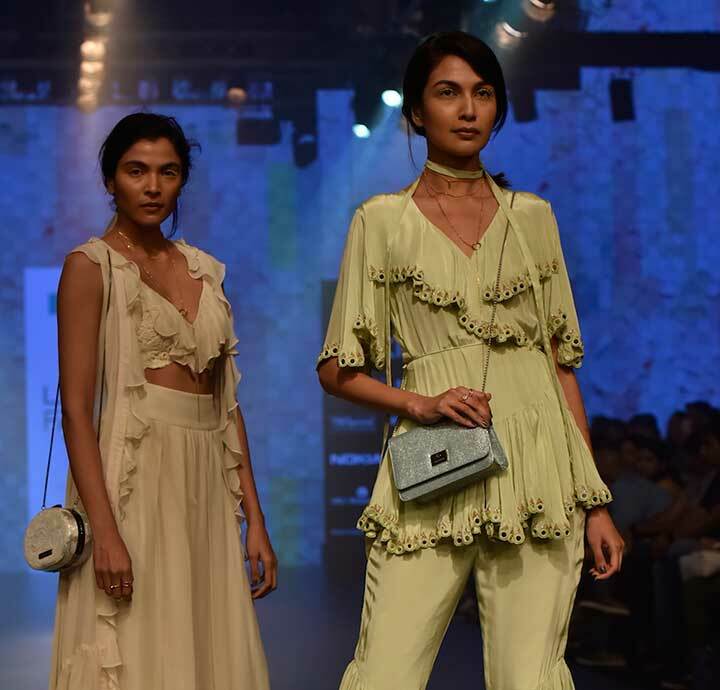 Ruffles, frills, flounce and a whole lot of beautiful pastel colour. 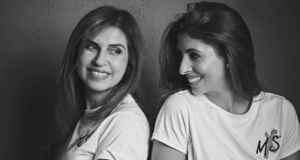 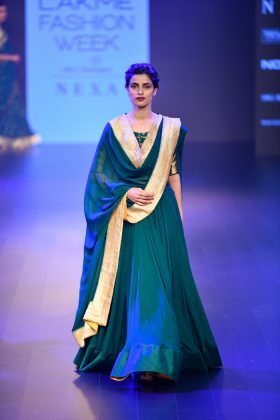 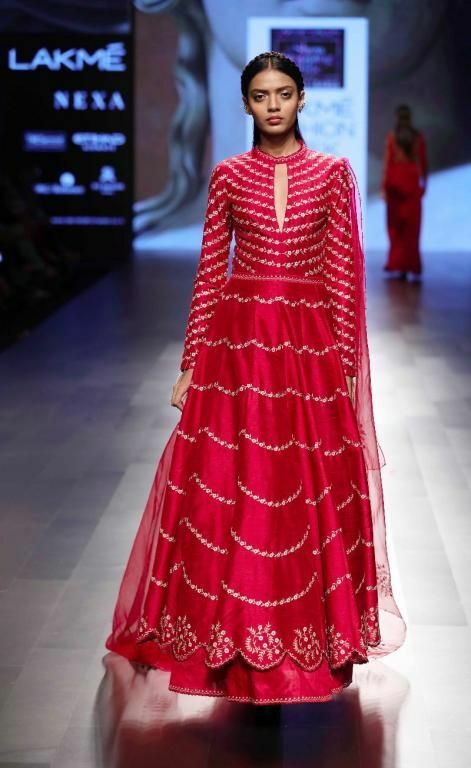 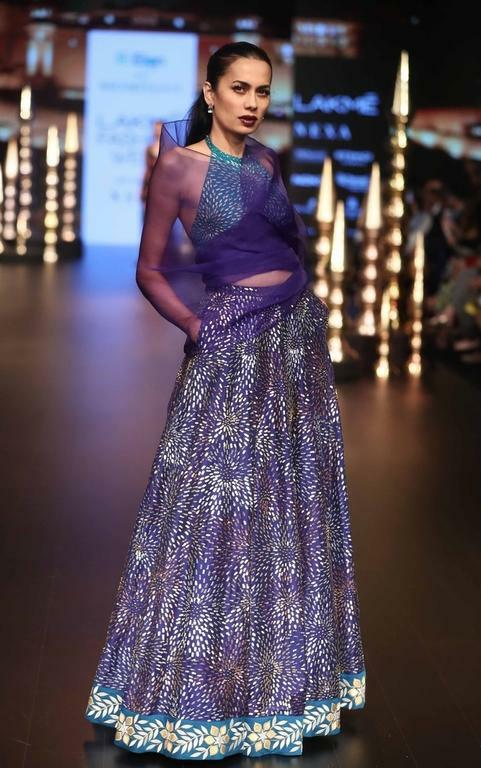 Regal and royal are the terms that come to one’s mind when they see Nachiket’s collection. The free-flow fabric with bold embroidery was seen in his designs.